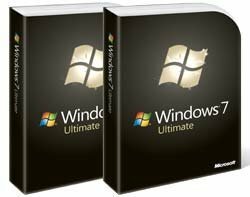 Windows 7 is the fastest selling operating system in history, claims Microsoft, with 240 million licences sold in the first year. This is 63 million copies more than predicted by the end of 2010 by research firm IDC in October 2009. As of September, Windows 7 was running on 93% of new consumer PCs and had over 17% global market share, according to Net Applications. Six months after launch, 100% of Microsoft's over 18,000 OEM partners were selling Windows 7 PC, versus 70% for Windows Vista PCs in its first six months, said Brandon LeBlanc, a Windows communications manager at Microsoft. "Over the past year, we saw that customer satisfaction for Microsoft had outpaced Apple in February and in May the American Customer Satisfaction Index report showed a jump in customer satisfaction for Microsoft in 2010 over the previous year," he wrote in a blog post. Both indices identify Windows 7 as the key factor for improved customer satisfaction for Microsoft, said LeBlanc. Businesses are getting on the Windows 7 train, he said, but gave no figures for corporate adoption of the operating system. In January 2010, Microsoft announced a 60% increase in profits in its second financial quarter, but that was mostly due to strong consumer demand as businesses were still holding back investment. That has changed in the past year, with 89% of business oganisations actively testing and/or deploying Windows 7 in the next two years, according to research firm Forrester, and the average return on investment 131% in just over 12 months, according to a Microsoft customer survey. Growth in the small and medium enterprise (SME) segment has been the greatest in the past year, with number of desktops and laptops running Windows 7 increasing nearly 500% since January, according research firm, SpiceWorks. Big business customers include General Motors (30,000 users), Samsung, Expedia, and Continental Airlines.